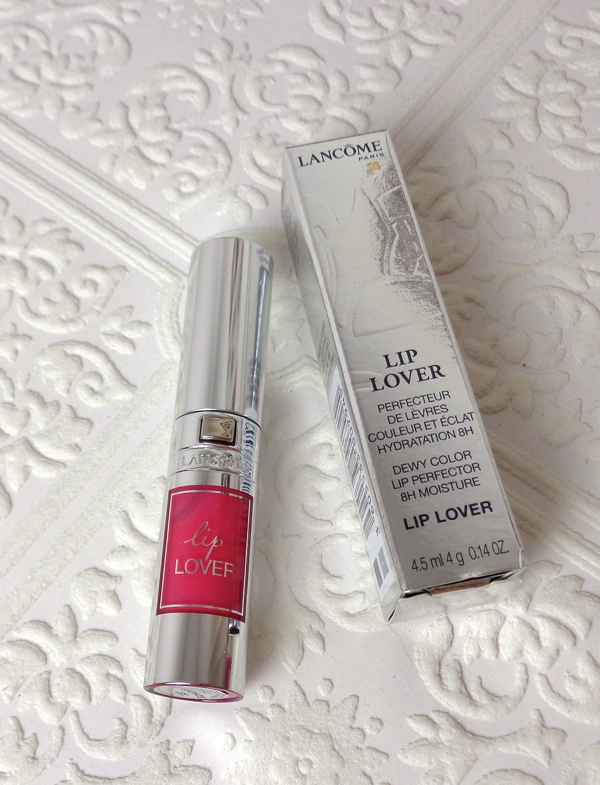 I had to experience Lancôme Lip Lover since it has been so well received in the beauty blogosphere. It is refreshing to see this veteran brand with a bit of mumsy feel keeps bringing out new and fresh items like this, yet they are still modestly priced. In my humble opinion, Lancôme Lip Lover is like an underdog who hit a home run, and one of the few that are actually worth your attention out of all the spring makeup came out this year. The color I chose is also called "Lip Lover (337)", and it is a "Bright Berry Pink". This well-made silver tube is light and perfectly sized. I did not know Lip Lover came in such a high tech tube. There is a button in the middle and the applicator gets released when you click on it. Lip Lover is a medium berry pink with a hint of warmth. It contains very fine and sparse shimmer that doesn't really show up on lips. The consistency is balmy and somewhat thick, and it applies very evenly. On my lips, the color is a natural blushed pink with medium intensity. Lip Lover (337) is a very pretty and wearable color but it isn't the most unique pink or anything. What impresses me is its superb formulation that feels so so nice on my lips, though! It never feels sticky and it is actually amazing to think about the shiny finish it gives. My lips feel still moisturized after most of the color is gone not to mention it is quite long lasting leaving a pretty stain behind. There are few things I am not so crazy about if I am to be picky (I mean, very picky). I am not keen on the slightly medicinal scent although it disappears within minutes or the rather small applicator (which I failed to photograph). I assume it is all personal preference, however. I've seen some reviews comparing Lancôme Lip Lover to Dior Fluid Stick (I recently reviewed one here) which is another recent hybrid lippie release. But to me, they are two different breeds. 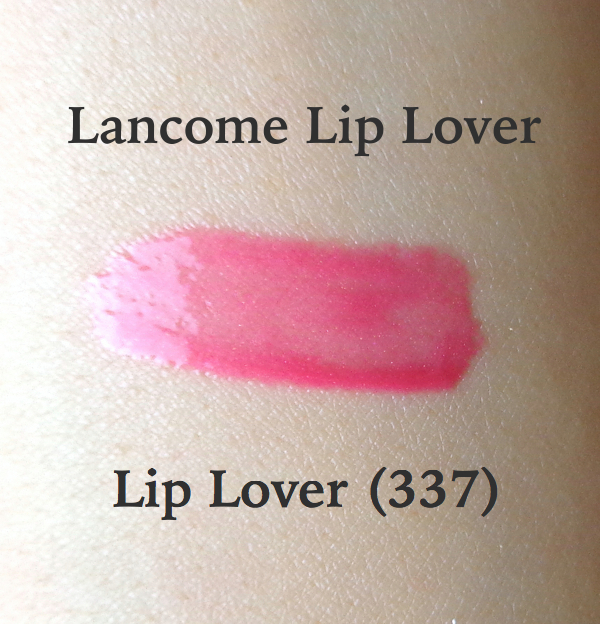 Lancôme Lip Lover is closer to L'Oreal Extraordinaire, for example (my review here). I've actually compared the ingredient lists side by side and I see they share many of the same although L'Oreal one contains more oil, which explains why it feels heavier than Lancôme Lip Lover. 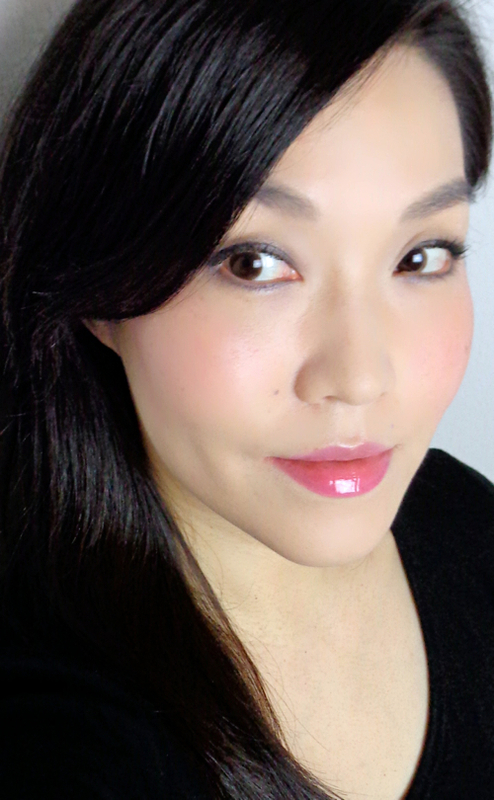 Here is how Lancôme Lip Lover, Lip Lover(337) looks on me. Nowadays, formula matters more than color itself when I am contemplating on a lippie purchase (that's like all the time, as we all know by now). I see myself picking up a few more because Lancome Lip Lover is hands down the most comfortable lippie I've worn in a while. 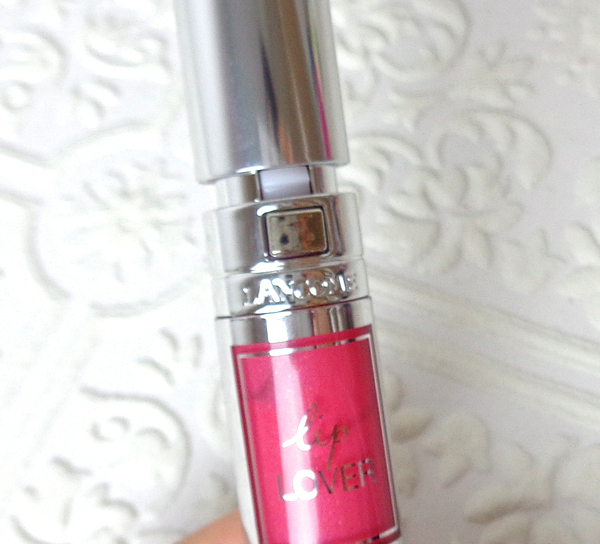 Have you tried Lancôme Lip Lover? I was just looking at this color the other day! In the end though, I went with a different brand - but I might still pick one of these up some time in the future. Such a pretty fresh shade! It is very wearable and natural. Thanks! Ahaha, thanks for the link love, Lena! This is gorgeous! Sort of like the color I chose (great minds! :P) but with sparkles. SPARKLES. I think if I pick up another one, it will be in some sort of coral pink shade (which I lack, actually), but today I visited my favorite Shiseido SA and there is a nice GWP soon, so... T_T no more lip shades. SKINCARE. You sure tempted me with that Framboise Etoile shade! oh it looks so lovely on you!! that looks lovely. I recently swatched one of these in sephora and thought it might look bit streaky on the lips, but it looks perfect on. I might have try the l'oreal version since it is bit easier on my wallet. Nice pick! I didn't see any Lip Lover colours that screamed at me but Dior Fluids did. ;( But since they're all permanent, I'll take my time testing them all out. I would say the color selection is excellent covering all spectrums but I have to agree with you. They are priced so attractively as well that I wouldn't mind picking up a few more. This sounds and looks like another great highend lippie to try! I liked the first shade you reviewed too! Your review of the dior fluid lippie is also making me all eager about buying more high end bits. I walked into a dior make up store the other day when I was in town and I just was gawking over everything internally but realizing that a powder and the compact together is about $100 SGD or about $80 USD, it's damn scary! The lippies are still within reach for my budget though! This Lancome Lip Lover is priced much more affordably, though. I am loving the packaging! Good to hear that it's super comfy to wear! I really like the shade on you too, Lena. Gorgeous as always. I love this color! It's such a pretty pink. This wears lovely on you Lena! I'm still deciding whether I should buy Dior Fluid Stick, now I have this to add to the equation - they both seem to be such great releases! Lip Lover is a must for easy everyday pretty lips, though. Thanks for the link love, Lena! I can't believe I missed this post! Glad to hear you love the formula too. 337 looks beautiful on you. It's funny, because I actually really love the scent, although like you mentioned, it's really all up to personal preference.